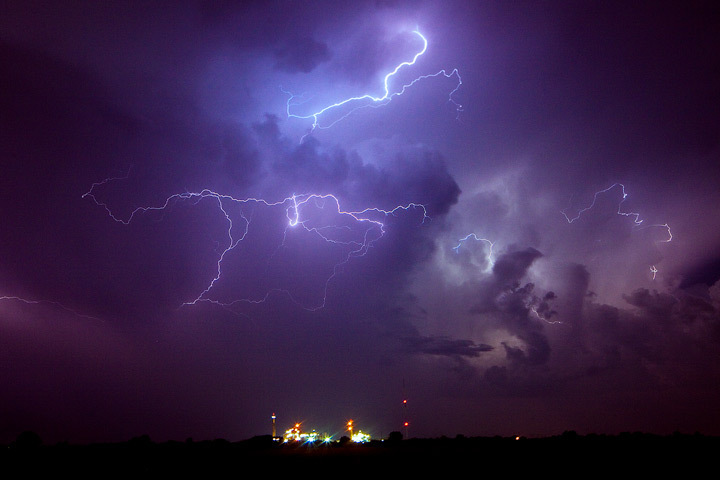 I took 11 days off to chase storms this May. After nearly a week with no storms, I got antsy and headed north to South Dakota, where it looked like storms would form in a couple days. I spent a day exploring the Badlands area. Storms developed farther to the south the next few days; so I ended up driving through Nebraska and on through Kansas Oklahoma and north Texas before returning to Colorado. 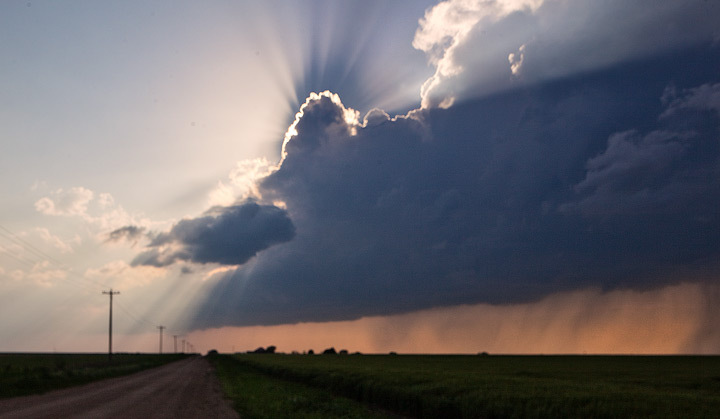 5 days, 2,400 miles, and three tornadoes along with numerous powerful storms--quite a trip! 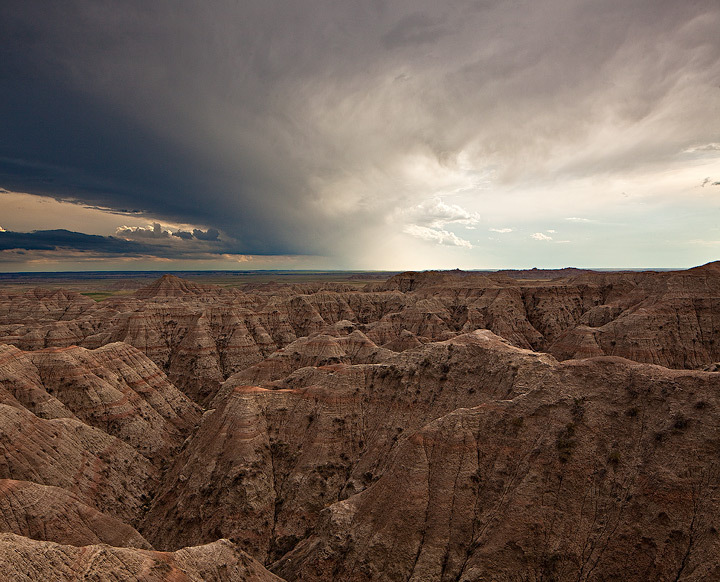 Badlands Storm. 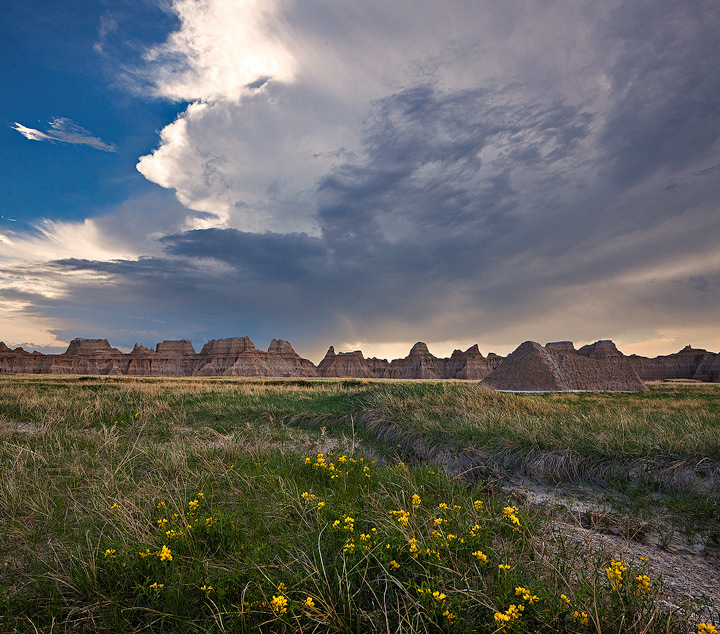 Afternoon thunderstorms move through the Badlands. Photo © copyright by Stan Rose. Flowers and Storms. Photo © copyright by Stan Rose. 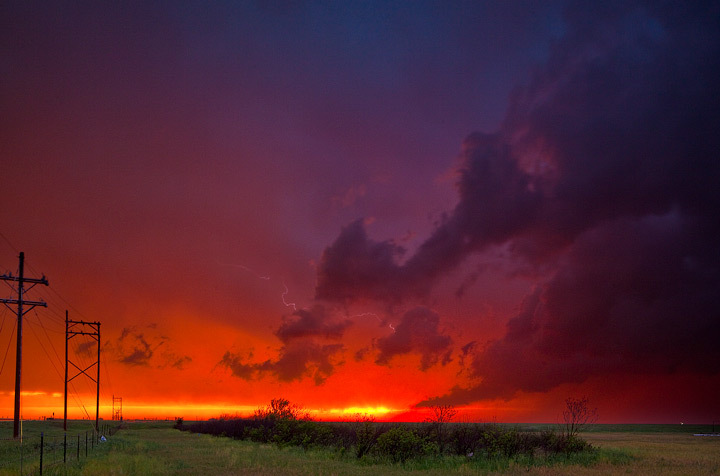 Kansas Supercell Stromg winds swirl around the base of a tornadic supercell in central Kansas. Photo © copyright by Stan Rose. Hail for Hays. Tennis Ball sized hail falls from this Kansas storm. Photo © copyright by Stan Rose. 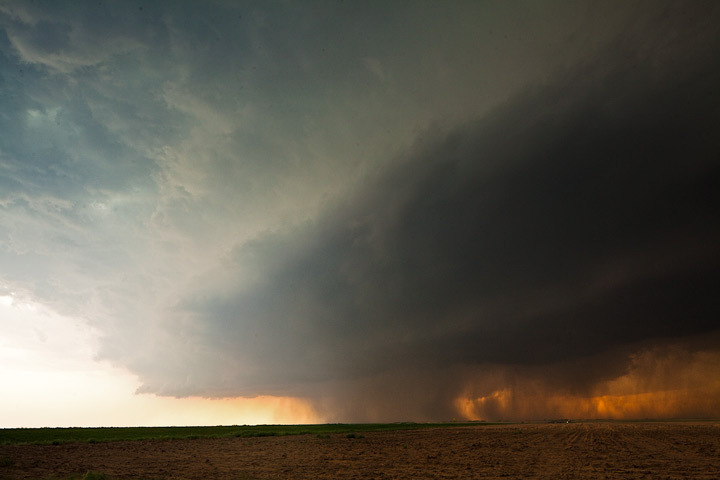 Kansas Mothership Supercell takes on a 'mothership' appearance. Photo © copyright by Stan Rose. Downburst A microburst, or strong downward winds, kicks up dust at the base of a Kansas thunderstorm. Photo © copyright by Stan Rose. 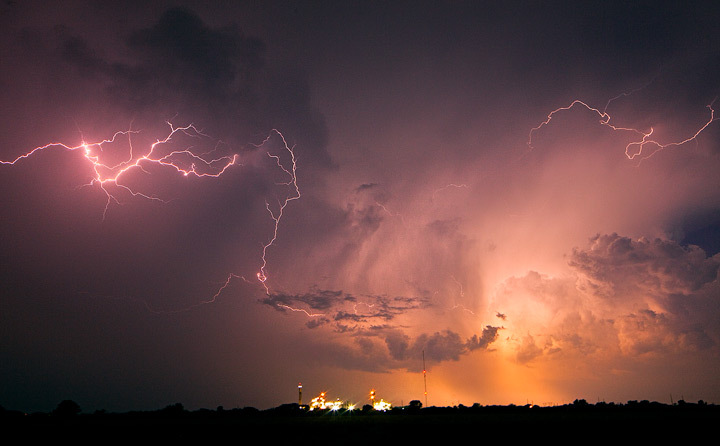 Electric Sunset A powerful lightning bolt strikes from the base of a severe thunderstorm at sunset. Photo © copyright by Stan Rose. Invisible Threat. 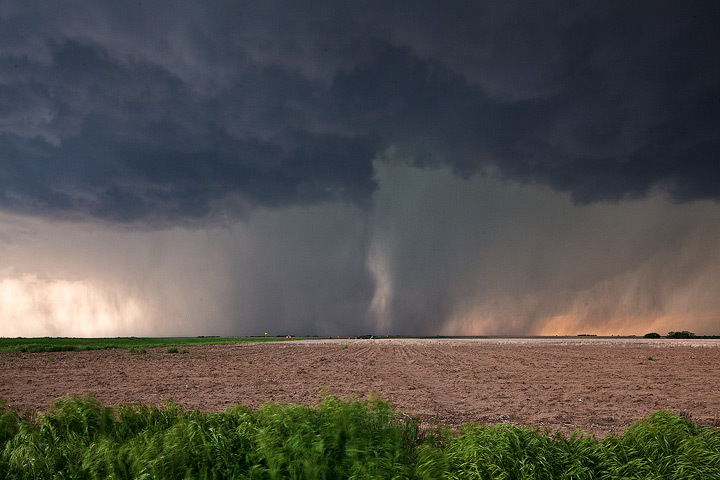 A tornado drops from a Kansas supercell thunderstorm. 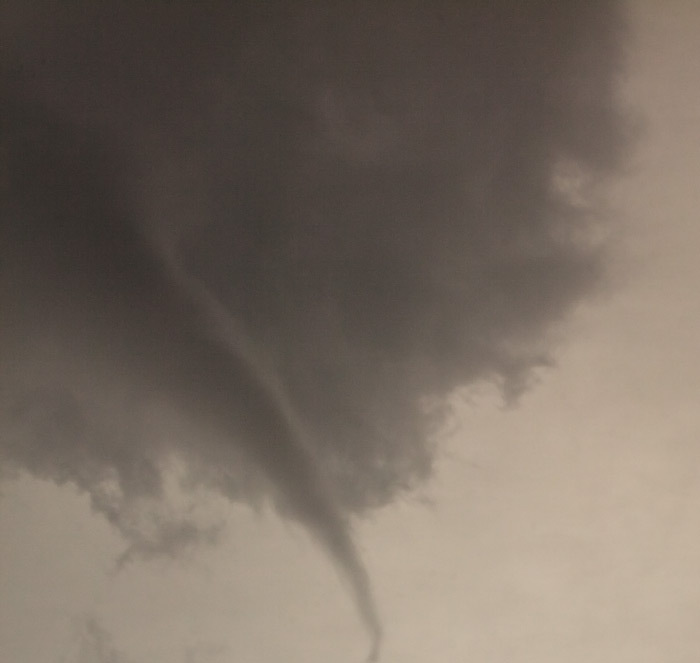 This tornado has no condensation funnel, but you can see it is a tornado from the debris cloud and cloud funnel. Photo © copyright by Stan Rose. 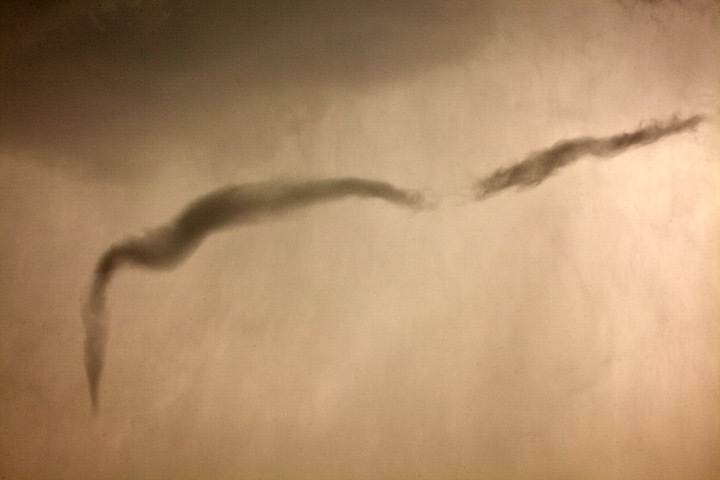 Twisted A tornado ropes out above my head. This tornado formed right behind me as I was chasing the parent storm. It was probably no more than a couple hundred yards away. 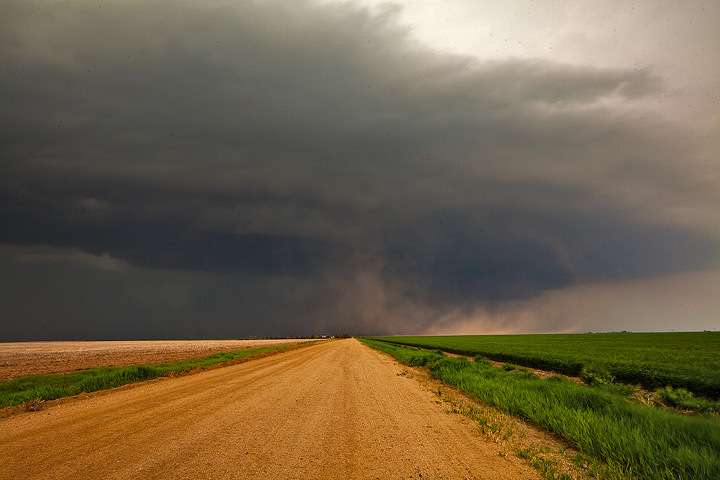 I lost my nerve and floored it to get ahead of the twister; by the time I pulle dover the tornado was already dissipating. Photo © copyright by Stan Rose. Extreme Instability. 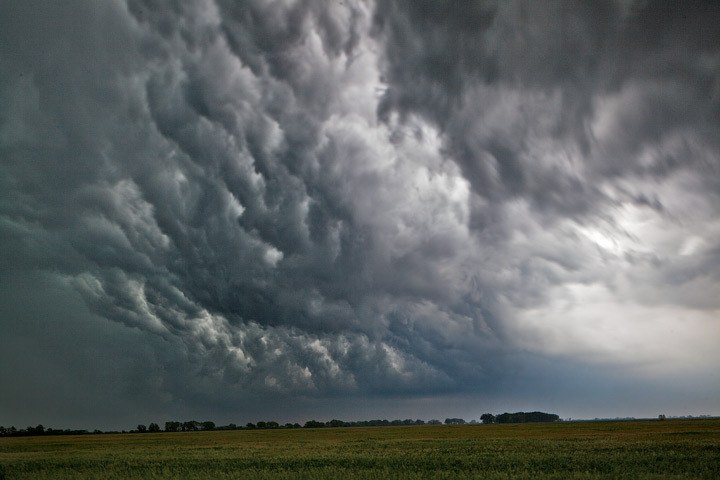 Massive turbulence in a severe storm. Photo © copyright by Stan Rose. 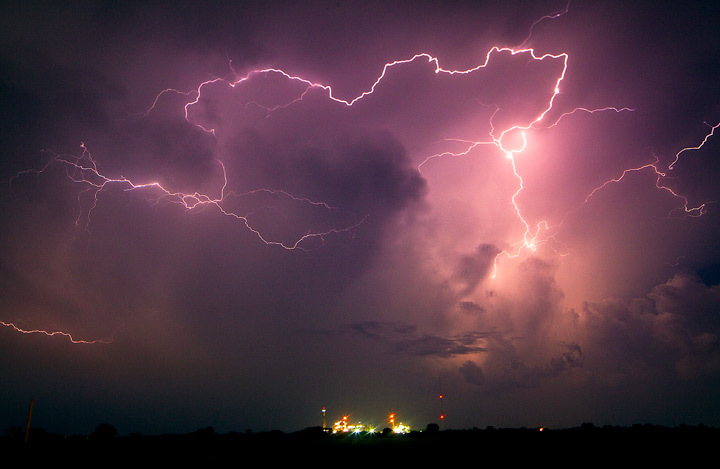 Electric Company I pulled off the road and walked out into a field to photograph this amazing lightning display over a power plant in northern Oklahoma. 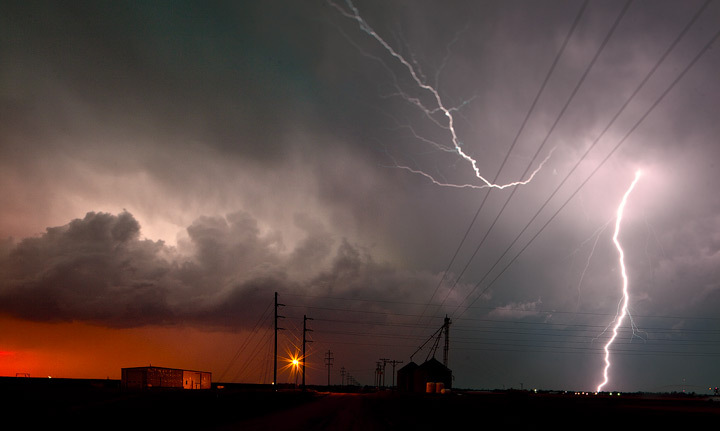 Lighting strikes were occurring nearly constantly throughout the storm. Photo © copyright by Stan Rose. 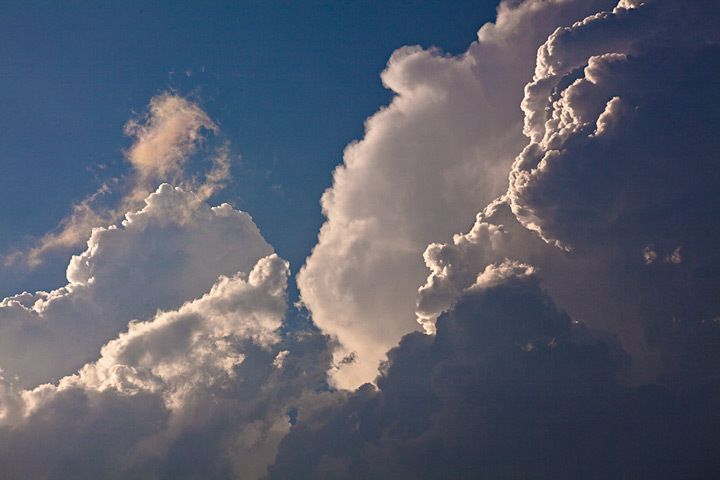 Cauliflower Clouds Strong updrafts cause towering thunderstorms to take on a strikig appearance. Photo © copyright by Stan Rose. 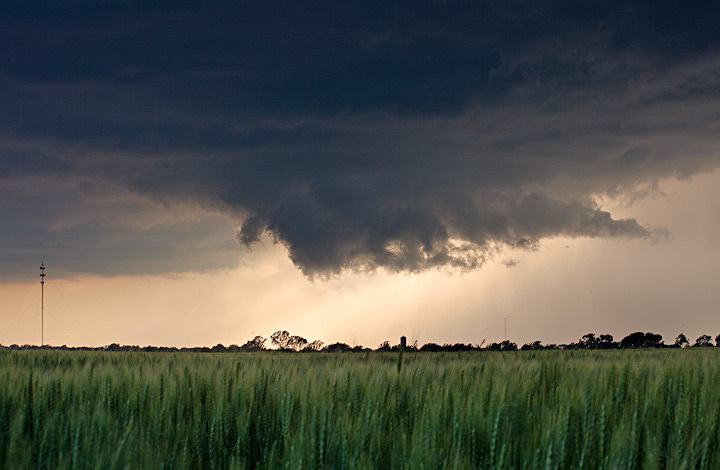 Wall Cloud A rotating wall cloud forms at the base of a supercell thunderstorm. Photo © copyright by Stan Rose. Mercy. 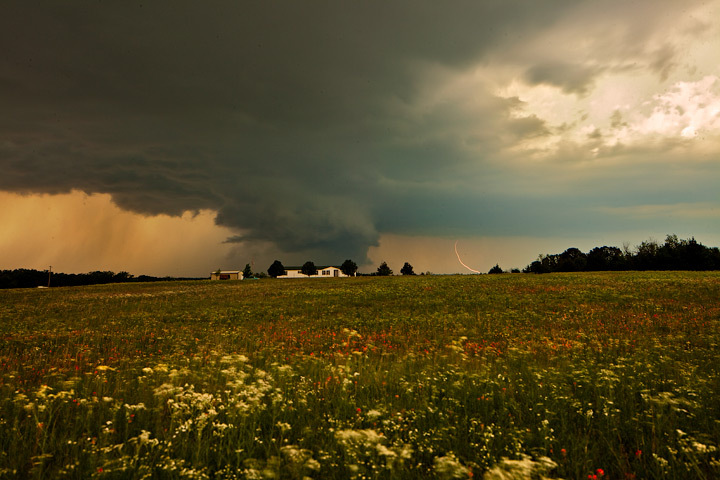 A large wall cloud develops on a monster supercell in Oklahoma. 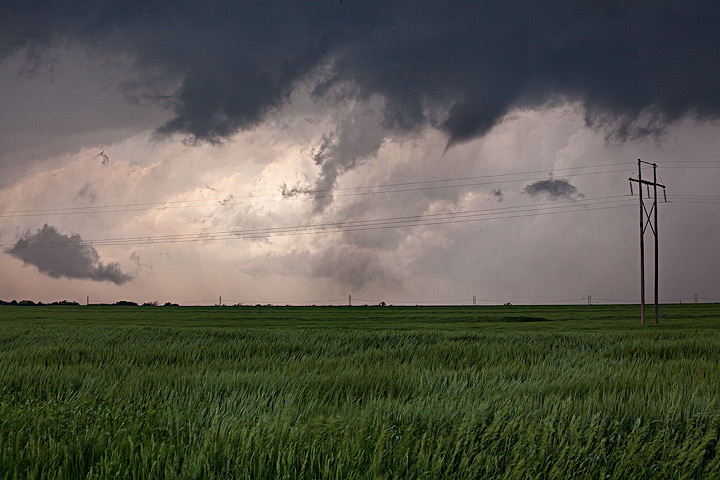 This was the storm just south of the killer tornado that hit Moore on May 20, 2013. Photo © copyright by Stan Rose. Texas Trouble. 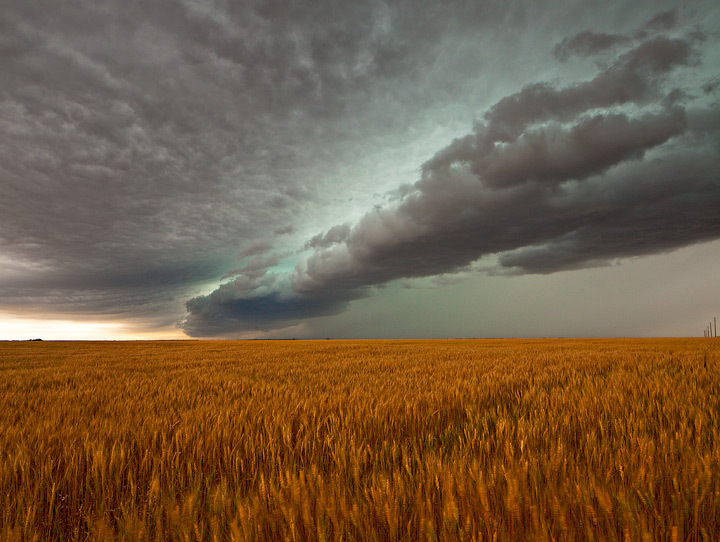 Strong storm moves through a Texas wheat field. 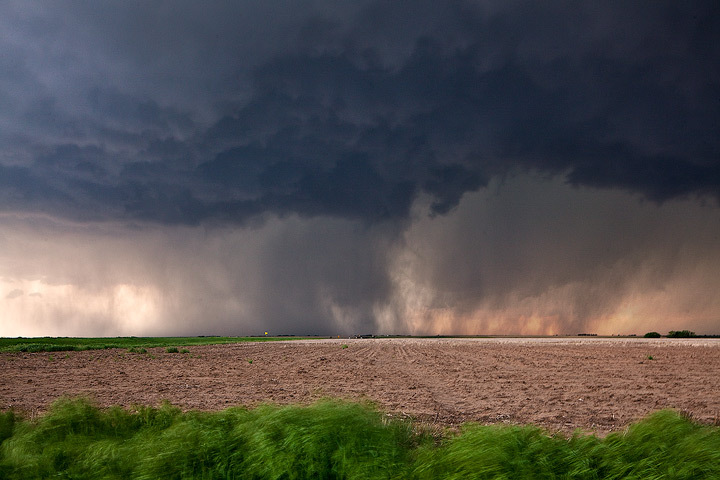 The green color is caused by large hail suspended in the cloud. Photo © copyright by Stan Rose. 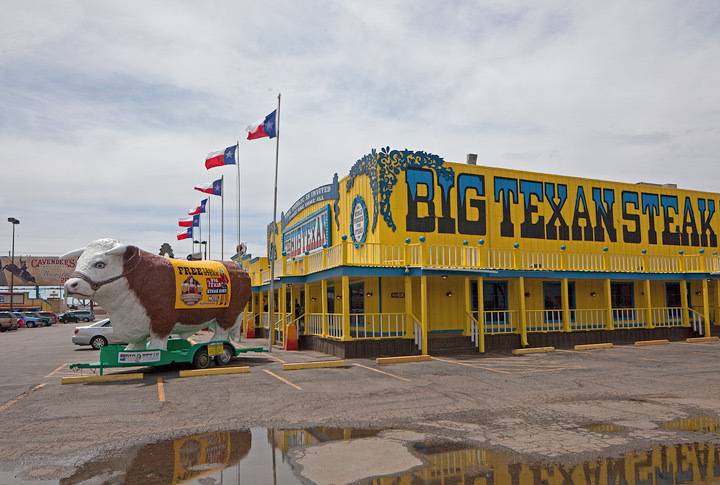 Big Texan What storm chase would be complete without a stop at the Big texan, home of the 72 Oz steak? :). Photo © copyright by Stan Rose.